When Eden’s mother was pregnant with him, his father would take a speaker and hold it against her belly while playing Johannes Brahms Piano Concerto No. 2. Eden is pretty sure this is where his love for music, specifically classical music, began. From the very first moment, he was able to wrap his hand around a drumstick, at about age two, there would be no letting go of it. At eight, he was already performing publicly. At nine, Eden performed in front of an audience of 32,000, at Israel’s sixteenth Maccabiah Games. When he was fourteen he went on tour for the first time. 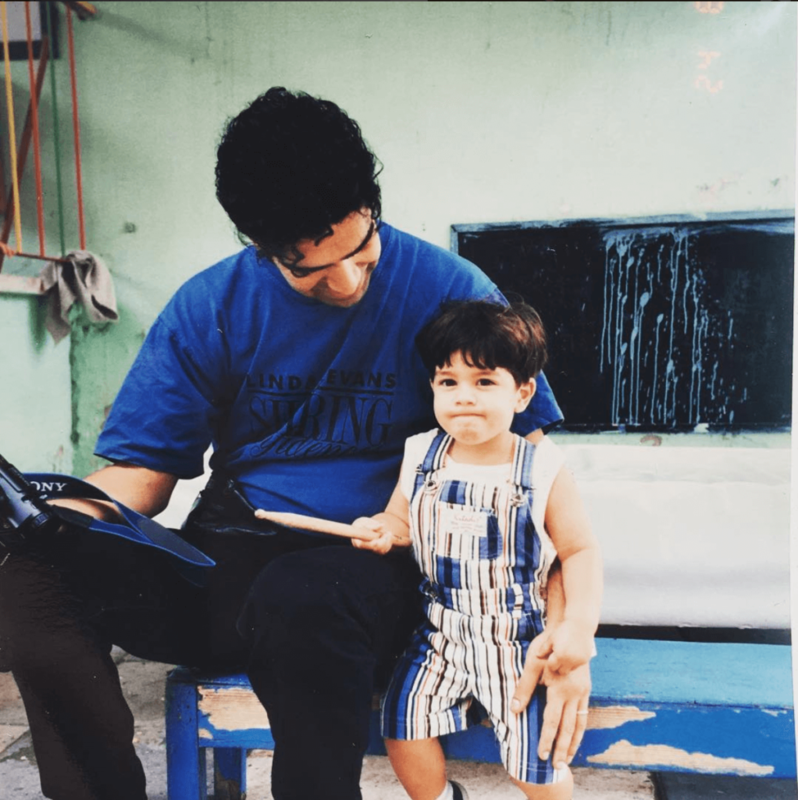 Soon after, he was fortunate enough to have the opportunity to perform around the world, learning from one of the most talented and renowned musicians in Israel, Yaron Bahar, who happens to also be his father. In the army, Eden served in the Israel Defense Forces orchestra for two years. Following his service, Eden’s professional career took him across continents, performing a variety of musical genres and meeting remarkable musicians along the way. Eden studied at the School of the Arts Arison Campus in Tel Aviv, with a focus on Jazz, before continuing his rich education in world music and its various instruments, training with renowned musicians at points across the globe. He has also traveled specifically for professional training in Croatia, India, and Brazil. Notably, Eden studied conducting with Professor Rafi Kadishzon, orchestral percussion with Tomer Yariv, drums with Kenwood Dennard, Clayton Cameron, Chris Coleman, John Riley, Steve Gadd, Horacio Hernandez, David Z. Rich, tabla with Pt. Samir Chatterjee, djembe and dundun with Frederick ‘MILO’ Darboh and Sabula Bangura, cajon with Hagai Leshem, pandeiro with Joca Perpignan, timpani with Dan Moshayev, congas and bongos with Gadi Seri, and taiko with Nitay Zelniker. Absorbing skills and knowledge at each stop along his world travels while adding his own unique talent and flavor, Eden has performed in 35 countries. 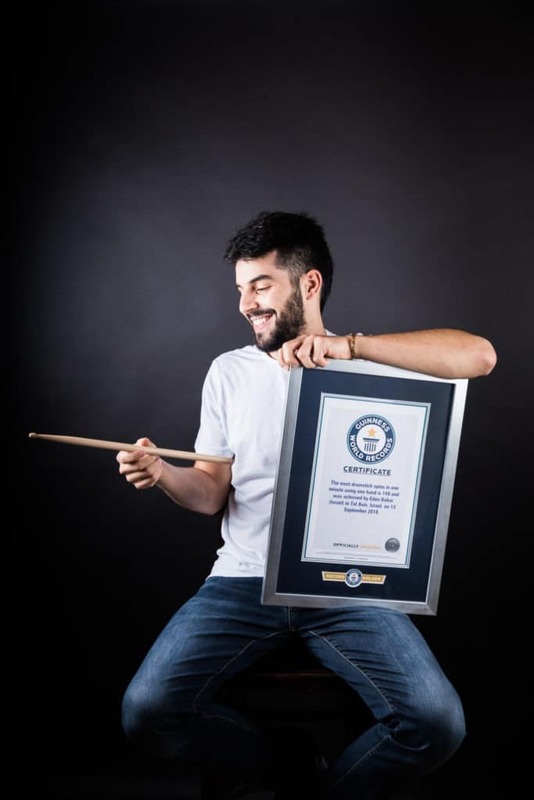 So that no one thinks he’s just an average drummer, Eden holds the Guinness World Record for most single-handed drumstick spins in one minute. Alongside side his illustrious accomplishments accompanying numerous bands, Eden also released an album in 2015 with his father entitled Classical Storm, which has garnered acclaim and interest including by renowned pianist Yuja Wang, and her father, percussionist Wang Jianguo. Eden has a passion and enthusiasm for new projects. 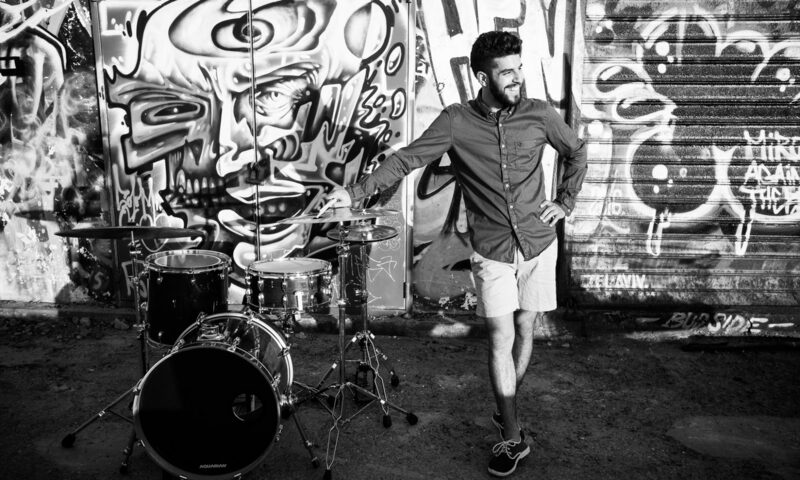 Nothing makes him happier than seeing people moving their feet to his drum beat. It’s Official! After 2 years of practicing and a few attempts, I’m a Guinness World Record holder for ‘Most Drumstick Spins in One Minute’ using one hand only – 149.